Audrey Hepburn is the poster woman for classic everything - including hair. This week, we're inspired by this photo of Audrey as a gorgeous bride. 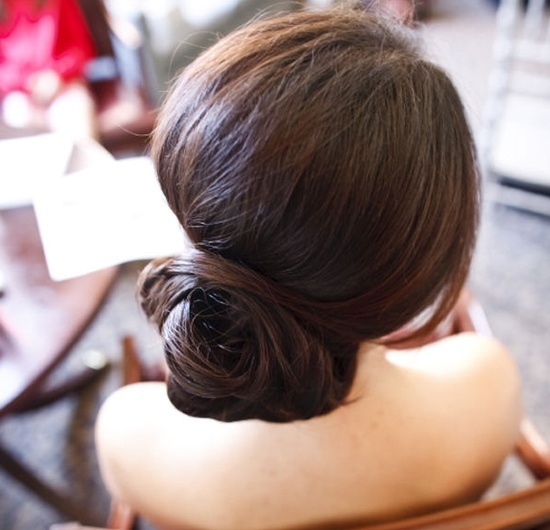 Audrey chose to wear her hair pulled back tightly and while she looks fab, not every bride will. In fact, photographers often tell me their brides who choose this style sometimes have regrets when they see the photos. Sleek can look harsh on camera. So as an alternative, we've scoured the web in search of our 7 most loved updo's for the classic bride. From vintage waves to messy ponytails, they're all classic with a twist.. Enjoy!